Mr. John William Graham, 89, of Tovey, IL passed from this life at 5:45 P.M. Friday, October 12, 2018 at Sunrise Nursing and Rehab Center, Virden, IL. He was born in Taylorville, IL July 3, 1929 the son of James A. and Ruby Mae (Owens) Graham. John married Beulah Hughes September 11, 1976 of Kincaid, IL. She preceded him in death December 3, 2011. 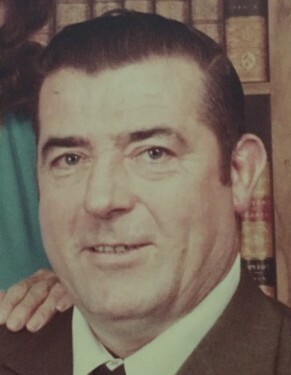 Mr. Graham was a member of Midland United Methodist Church, Kincaid. He worked his whole life in the coal mines retiring from the coal mine in Coffeen, IL. Surviving are one son Dennis Allen Graham of Springfield, IL, a step-son Bob (Connie) Day of Divernon, IL, and a step-daughter Judy (Harold) Whitnall of Divernon, IL, a grandson Christopher W. Graham of Virden, IL and 2 great-grandchildren Braden Tyler Graham of Austin, TX, and Kaleigh Michelle Graham of St Louis, MO, 1 brother Ronald (Della) Graham of Bulpitt, IL, along with many other shared cherished grandchildren, nieces and nephews. He was preceded in death by his parents, wife Beulah, a son John Mark Graham, a granddaughter Alina Marie Graham and 2 brothers Eugene and Otis “Bob” Graham and 2 sisters Donna Faber of Bulpitt, IL, Delores Roseberry of Phoenix, AZ. Funeral services will be held at 11:00 a.m. Tuesday, October 16, 2018 at Masterson Funeral Home and Cremation Service in Kincaid. Rev. Steve Smith will officiate. Burial will follow in Oak Hill Cemetery, Taylorville, IL. Visitation for Mr. John Wm. Graham will be held from 4 to 7 Monday evening and for one hour before his services on Tuesday at Masterson Funeral Home and Cremation Service, Kincaid, IL.